Shower Couture: Xetis – state-of-the-art shower. Visionary aesthetics – invisible technology. Feel-good guarantee: Xetis – made of KALDEWEI steel enamel. Today, luxury living means blending together the living area and bathroom. This includes a perfectly integrated shower suface as the visible expression of contemporary comfort. 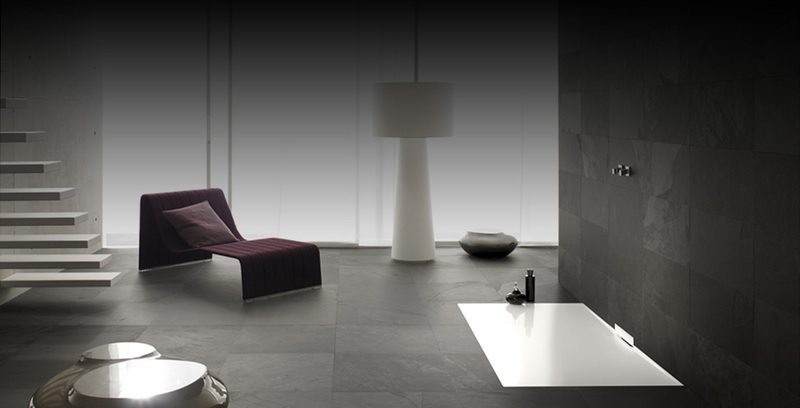 With the launch of XETIS, KALDEWEI underlines its role as pioneer and style icon in bathroom culture. For downloads and additional information for printing, please click here. 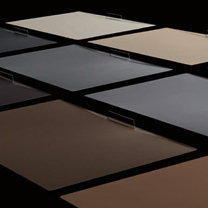 The unique matt enamel finish of the Coordinated Colours Collection by KALDEWEI sets new standards in bathroom design. The surface of wall and floor blend with the exclusive steel enamel of the XETIS shower surface to create a harmonius balance. Making daily life more comfortable, and enhancing the value of the home. XETIS – a highlight in sensuousness and aesthetics. 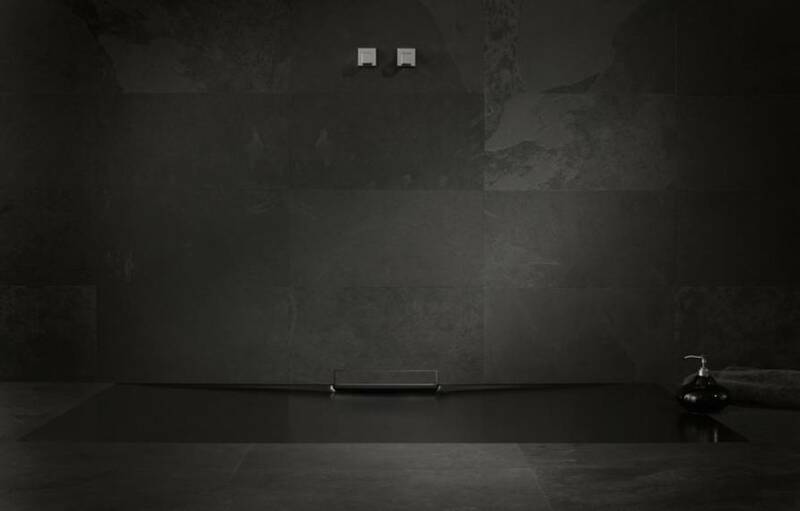 The new enamelled shower surface with its integrated wall outlet blends perfectly with the bathroom floor. 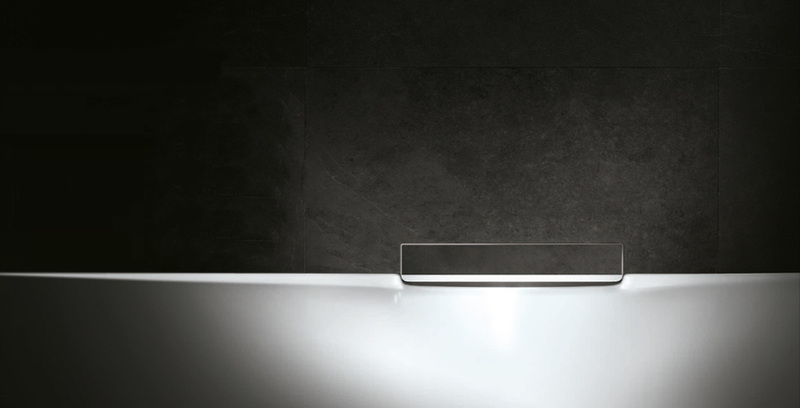 There is no waste cover to interupt the homogenous shower surface in KALDEWEI steel enamel. 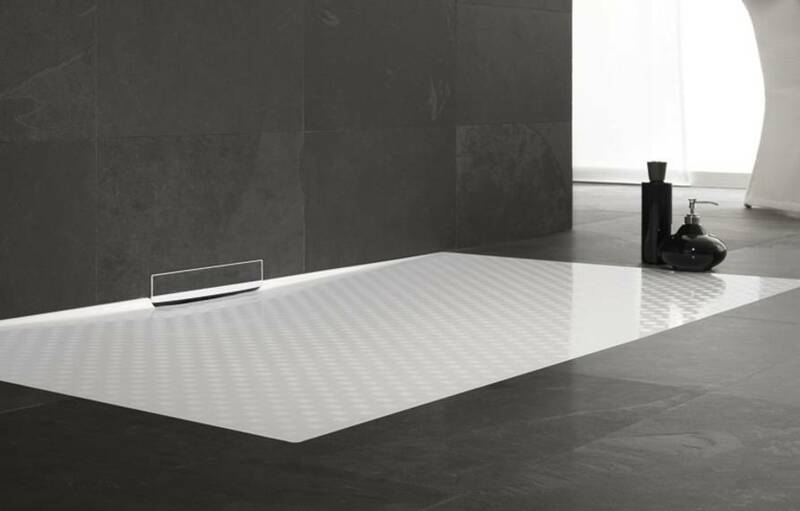 With 13 different dimensions, the new shower surface XETIS blends easily with any floor. The hidden wall outlet sets new standards in the bathroom architecture. Especially safe. 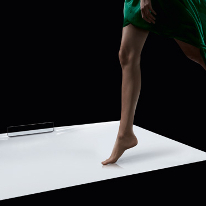 KALDEWEI’s unique anti-slip enamel offers the perfect combination of functionality and aesthetics. 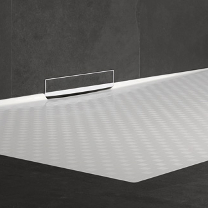 The structured quartz-sand finish is burnt permanently into the KALDEWEI steel enamel and provides a particularly high level of safety in the shower. 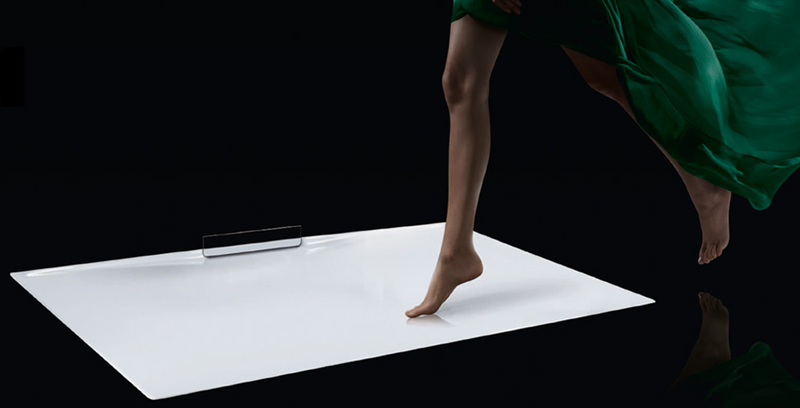 The Rhineland TÜV organisation (German Technical Inspection Association) has certified KALDEWEI’s antislip and full anti-slip systems as having anti-slip properties compliant with Quality Class B for barefoot wet areas (DIN 51097) and Quality Class R 10 for anti-slip characteristics in work spaces and working areas with an increased slip risk (DIN 51130). Enamelled shower surfaces are in fashion and no longer only requested as special solutions. 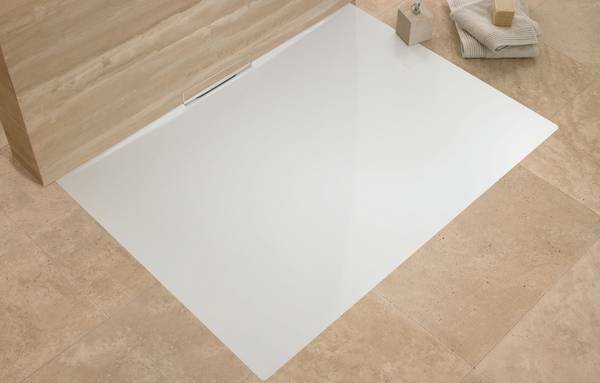 Available in 13 different sizes, the XETIS can be easily integrated into any room and transforms into an absolute design highlight in the bathroom. 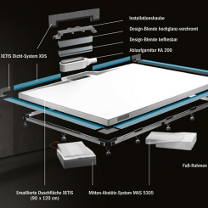 The XETIS' designer cover is available for tiling or with a polished chrome plate. All components are manufactured by KALDEWEI. 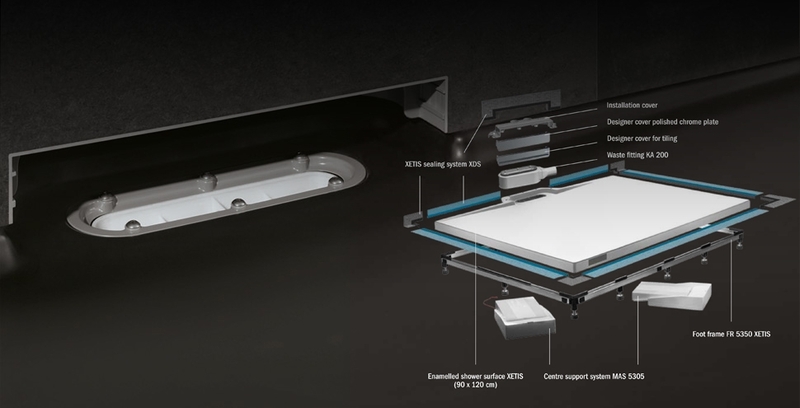 KALDEWEI is setting new standards in modern bathroom architecture with the Xetis system solution.The design and engineering specialists from KALDEWEI have created an easy-to-install system solution that, for the first time ever, offers all the components in a single installation set. The interplay of the excellent material properties of KALDEWEI steel enamel and the system components of the installation packages makes the XETIS a mature product solution. Californian Borax, Scandinavian quartz, feldspar and soda. In the world’s biggest enamelling furnaces, KALDEWEI uses glass-forming natural materials to produce a special enamel with a surface that is guaranteed to remain durable for at least 30 years. Not even the microscopically tiniest scratches occur on the smooth, glass-hard surface: bacteria don't have a chance to settle. 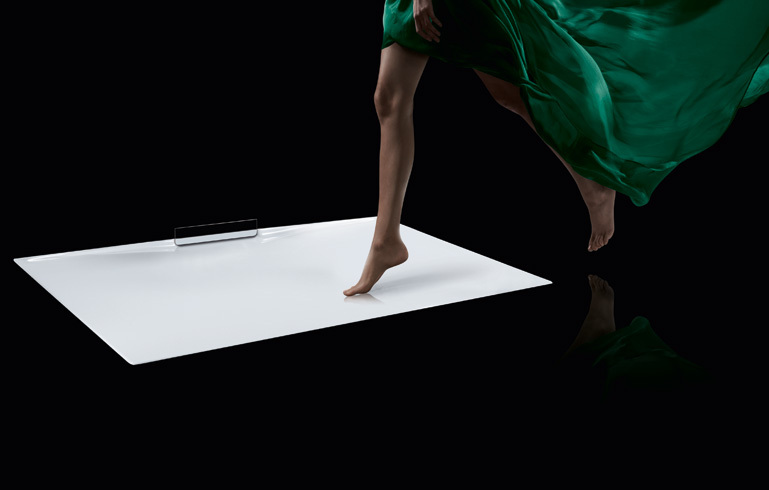 The unique surface also appeals for its easy-care properties: cleaning takes only moments, and no smears or traces remain when dry.